Today is a special day. For some its a day off of work, for others a day off of school. For many of us, its a day of celebration and thanks for those who served. It’s Veteran’s Day! 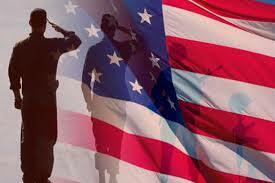 Veteran’s Day celebrates the service of all U.S. military veterans. In memory of those who served, and in honor of those who serve us now. This includes Army, Navy, Air Force, Coast Guard, and the Marines. 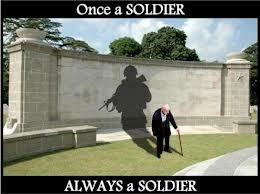 Most people do not understand the sacrifices that are made by a soldier. It’s those selfless moments, those sleepless nights, and the time away from loved ones that defines a soldier. He is a father to their children and a husband to their mother. He has sworn to protect and defend his country, but he doesn’t do it for the money. He does it for pride and responsibility. He doesn’t have the luxury to take a sick day like most. He spends his holidays defending our flag no matter what the cost. He is an American Soldier. For many of you, like myself, you can probably relate to this. We have sacrificed a lot, by choice I may add, to ensure freedom for our fellow Americans. I’m not saying that every war was necessary, but in every war a sacrifice was made. I spent some of the best days of my life serving along side my military brothers and sisters and I wouldn’t trade it for anything. It was tough at times being away from your family and loved ones. But receiving letters from home always made you feel better. It is so important, whether you agree with the cause or not, to not forgot those veterans who have sacrificed so much to ensure peace for the rest of us. If you do one good thing today, thank a veteran for his service. To those who I served with and to those who didn’t come home, God Bless and thank you for your service.